The bright colors, bold patterns and easy-to-grasp bumps of the Chime & Chew Textured Ball make this a must-have. 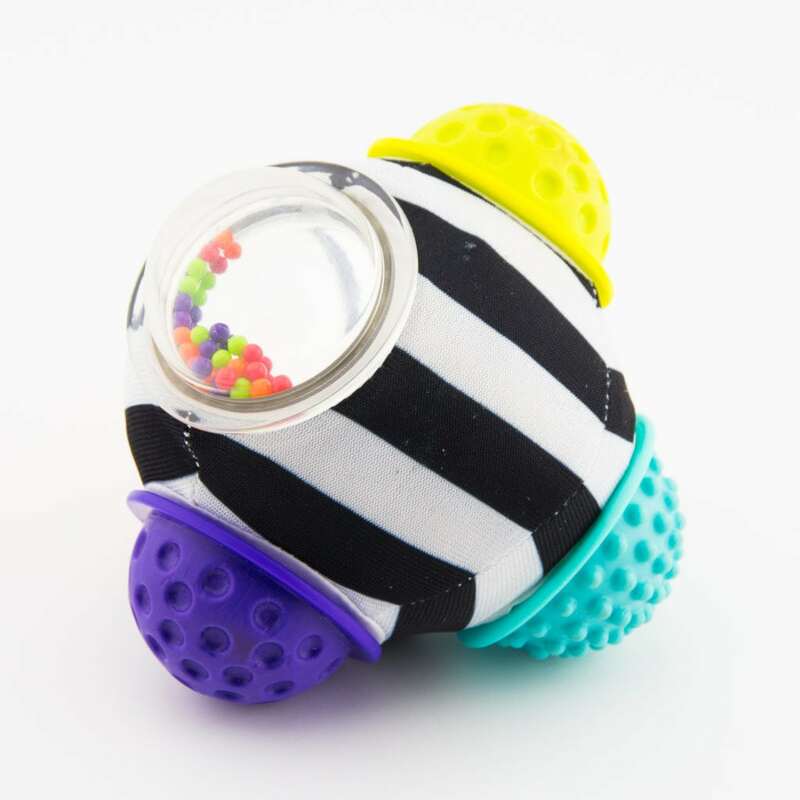 The high contrast colors of the ball allow baby to focus, strengthening vision. The gentle rattle sounds from the trapped beads stimulate auditory development. Chunky sized bumps on the ball encourage reaching, grasping, and transferring from one hand to another, developing baby’s motor skills. The differing materials engage baby’s developing tactile sensitivity and teach baby about variety.